American fruit tree growers produce over six million tons of high quality fruit for consumers each year. 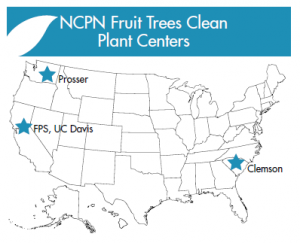 Participating programs in the National Clean Plant Center for Fruit Trees help control viruses and virus-like agents that can potentially impact the yield, appearance and taste of the fruit. Scientists and researchers working in these programs develop strategies to minimize the economic impact of viruses on the tree fruit and nursery industries. 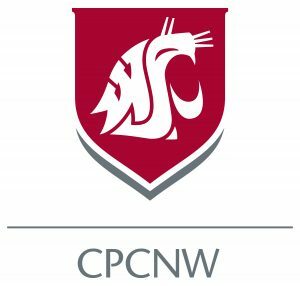 The center in Prosser, WA serves as the headquarters for NCPN-FT and all centers collaborate to provide the products and services needed for specialized growing regions across the United States. Serves as the primary site for the international exchange of fruit and nut tree selections. 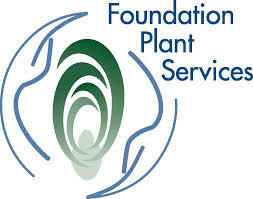 Ensures integrity of southeastern fruit tree foundation collection with annual testing of over 40 peach cultivars and Guardian rootstock for Prunus necrotic, Prune dwarf and Plum pox viruses. Maintains a collection of virus-indexed peach and plum cultivars in an insect-resistant screenhouse and in a developing GI foundation block. 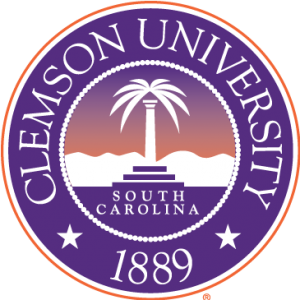 Distributes virus-indexed peach and plum budwood for nursery propagation in the southeastern regions from North Carolina to Florida and along the Gulf of Mexico to Texas. Serves as a primary source for virus-indexed fruit trees for the southeastern growing region, with nursery distribution reaching across 46 states. Provides GF305 seed used by other NCPN clean plant centers and programs for conducting bioassays. Maintains a foundation orchard with over 400 cultivars of almond, apricot, cherry, nectarine, peach, plum and rootstocks. Develops virus detection techniques; conducts virus testing and elimination. Provides germplasm for the California Department of Food and Agriculture’s Fruit and Nut Tree Registration and Certification Program. Serves as a reliable source of dormant cuttings, green cuttings and rootstock seed for fruit tree propagation. Works to ensure clean source of new materials from breeding programs.